I’ve been a keen Freshwalker for a few years now so, when MDP suggested a weekend in the Lakes, I was quick to sign up. There’s something about Freshwalks which guarantees a good time (if we forget about the Hathersage five-hour walk in the rain last May, that is!). I can’t really put my finger on what it is; there’s just that ‘je ne sais quoi’ that makes Freshwalks special. It has the perfect combination of lovely, like-minded people with a positive attitude enjoying good conversation out in the hills with a gentle, underlying theme of networking in its widest (and wildest) sense. Attendees headed out for a weekend in Ambleside, The Lake District. 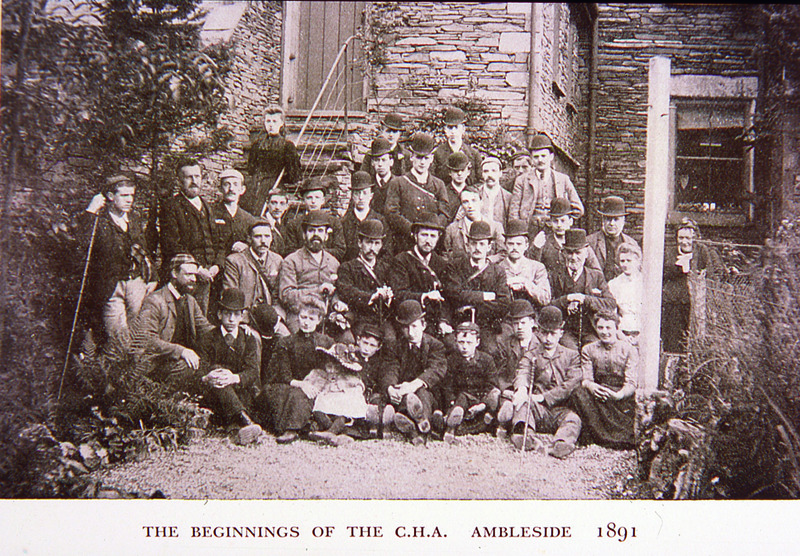 I was particularly delighted when Ambleside was chosen as a base. This is where the 19th-century version of MDP, a pioneering chap called TA Leonard, took a group of Lancashire millworkers in 1891 creating the first guided walking holiday. TA Leonard, very like our own forward-thinking MDP, was very keen to get workers out of the city to enjoy the great outdoors in the company of others. He founded the Manchester-based Cooperative Holiday Association (CHA) and then HF Holidays, which is still going strong today. Our two-night, three-day trip started with a medium walk: the Ambleside and Rydal Circular (via Loughrigg Fell). We couldn’t have picked a better day. Despite being October, it was T-shirt weather and seeing Lake Windermere in the autumnal sunshine was an absolute treat. Heading back to the B&B, there was just time for a quick shower before dinner at the Watersedge Inn right on the banks of the lake. With the long walk looming, I sensibly headed to bed early. Some didn’t and instead made an impressive attempt at drinking the bar dry (with WhatsApp pictures to prove it). 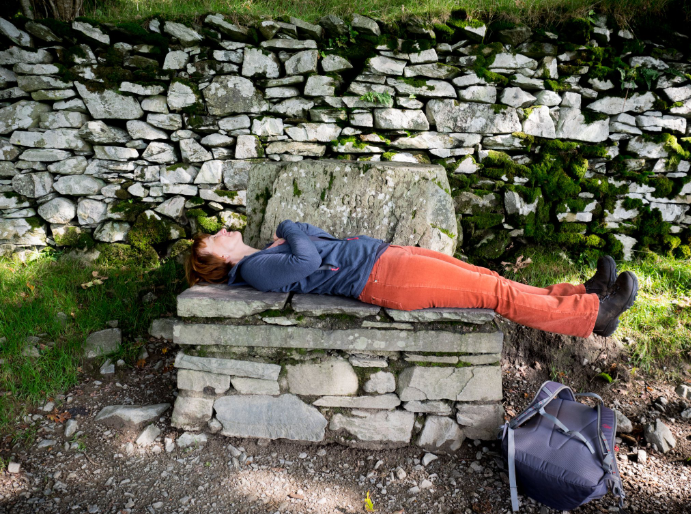 It appears that Sarah did one better by finding a moment to rest en-route! I’d been feeling a little apprehensive about day 2 after reading the itinerary a few days earlier. We were going to tackle the Fairfield Horseshoe described by MDP as ‘very hard’. *Gulp! 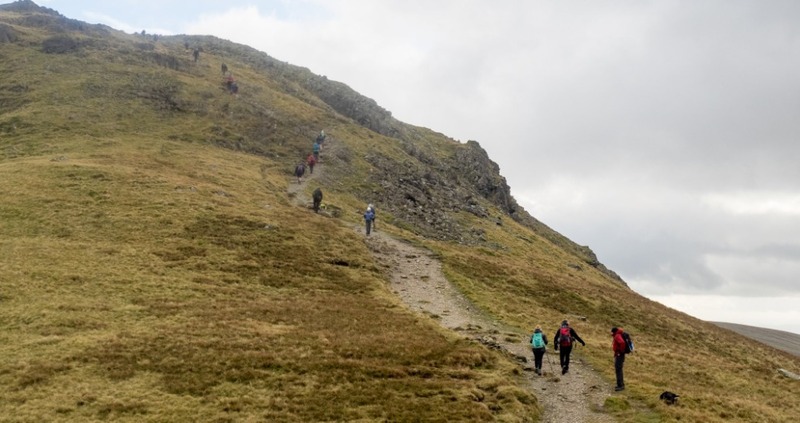 * Apparently, it’s a classic and takes in eight Wainwrights… Great, I thought! So, 18 of us (14 men, 3 women, and 1 dog) turned up at the appointed meeting point the next morning. A very tempting shorter alternative was cobbled together the night before for those who thought they’d struggle. The faces of our inaugural Freshwalks Weekender beam out. The weather was kind to us and it wasn’t long before we were in T-shirts again, adding layers as we got higher. We had a total ascent of nearly 1,200 meters. To ensure the pace was steady, the guys thoughtfully suggested us girls take the lead for the steep bits. Hilariously we’d only taken 10 steps when the path disappeared, and we needed their help to navigate. Emmeline would have shaken her head in despair! Once we started to get above the clouds the effort was rewarded with an astonishing view. The movement of the clouds from one valley to the next was fascinating to watch. You really felt you were on top of the world. After a few false horizons, we reached the top. It quickly became blustery and I was very glad of the puffer jacket I’d been carrying in my backpack. “Getting to the top was pretty cool… until we found out there was another summit!” – Katya Willems. I had a moment of mild panic when MDP’s map in its plastic case flew out of his hands and blew away in a gust of wind down the mountain. But, being the consummate professional, he had a spare in his pocket. It also turned out one of the lads had walked the route several times before so knew it well, so we were in safe hands. The plan was to take a rest at lunchtime and eat our sandwiches but, with the wind picking up, we didn’t hang around for long and we were eager to start the descent. It wasn’t as easy as you’d think, as there were a few tricky rocky bits and the odd bog to surprise us! The walk was 17.5 miles and took us the best part of seven hours. That last half-mile seemed so long, but what a sense of achievement you felt as you strolled back into the town. Attendees stopped briefly to regroup, hydrate and enjoy the incredible vistas. Dinner was at a cosy little restaurant called Lucy’s where everyone was in fine spirits and ravenously hungry. You burn about 2,500 calories on the walk and my Fitbit told me I’d clocked up 39,000 steps. It was no wonder that so many people ordered steak! I bailed on the boat trip to Bowness the following morning. I’d had my Freshwalks fix. Having made new acquaintances and caught up with old-timers, I felt the need to head home for a hot bath to ease my weary muscles. I wonder how the millworkers [below] felt after their first excursion to The Lakes… It’s strange to think that the views they enjoyed back then wouldn’t have differed much from ours. The landscape has barely changed. No doubt they too had stiff legs, but I hope they went home with the same warm feeling as I did. There is certainly no better way to enjoy being out in the fresh air than in the company of others. I think TA Leonard would have approved of our trip wholeheartedly. Roz Hughes CIPR is the Director of Roz Hughes PR Ltd. As a PR Consultant, Roz specialises in property, retail, travel, regional PR, public sector and all things Mancunian. As a G&T and cake enthusiast, Roz is always prepared for anything the hills throws at her! 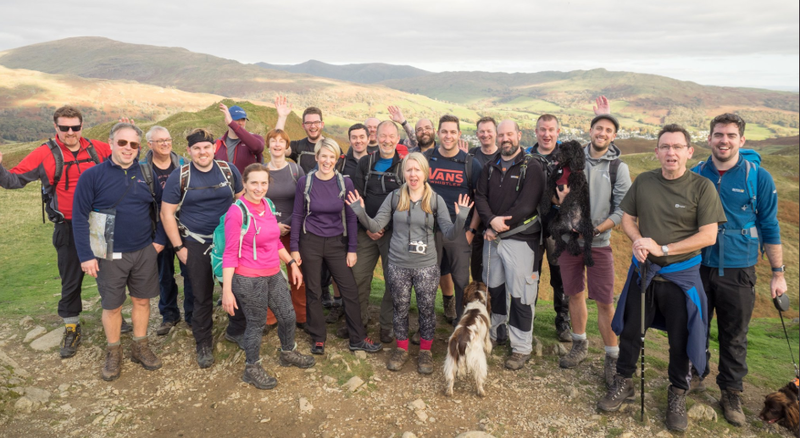 You can learn more about Roz on her LinkedIn profile or by reading her ‘Get to know the faces behind Freshwalks’ interview here. Featured images all shot by John Shinnick in Ambleside for Freshwalks.